Battle for Azeroth’s alpha is still being datamined for new information. Last week we found out you’ll be able to make your Orc stand upright with a trip to the barbers and even hover around like the Green Goblin on a goblin hovercraft. 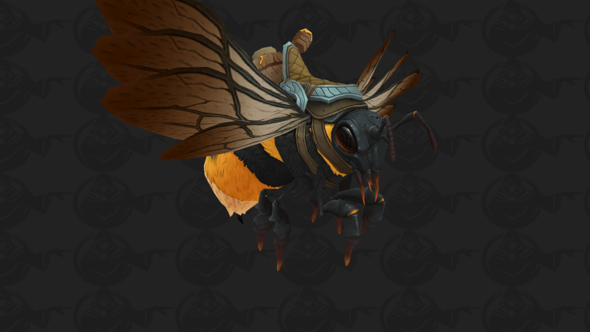 Now, it’s been uncovered, you’ll be able to buzz around on a new bee mount. Blizzard fan site, and datamine extraordinaires, Icy Veins unearthed bee mounts in Battle for Azeroth’s alpha. This is the first time we’re seeing bee mounts introduced to World of Warcraft, and it’s only one of several exotic new mounts being introduced in Battle for Azeroth.